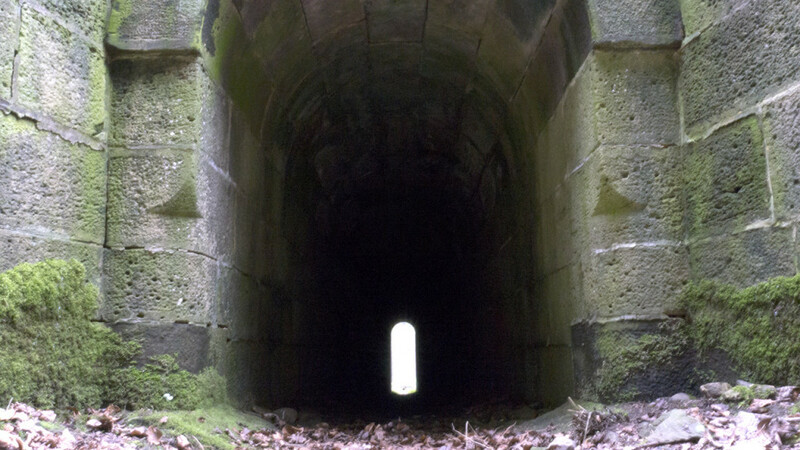 There is a small tunnel under a railway near a small german village named Bonaforth. 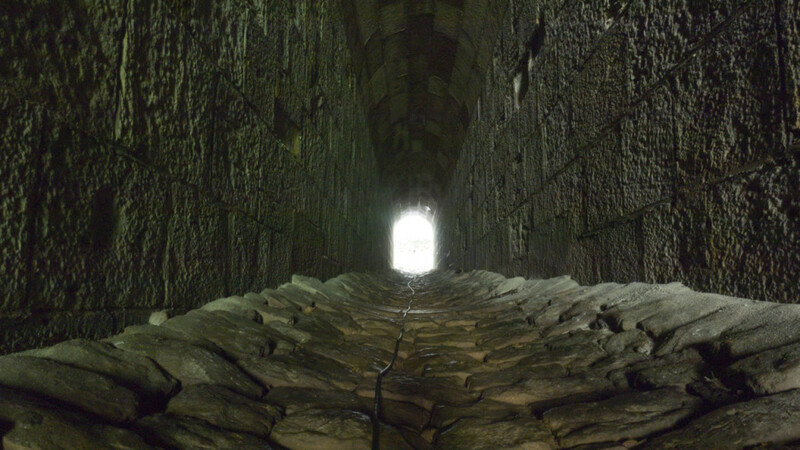 The tunnel has a very special atmosphere and a strange resonance to certain frequencies. It is about 35 meters long, 1.5 meters wide and the height changes from about 3 meters at one side to 1,5 meters at the other side. There are two recordings on the radio aporee map. The first is a slow walk-through making noise and wearing in-ear-microphones. In this recording a strange resonance can be heard really clear. 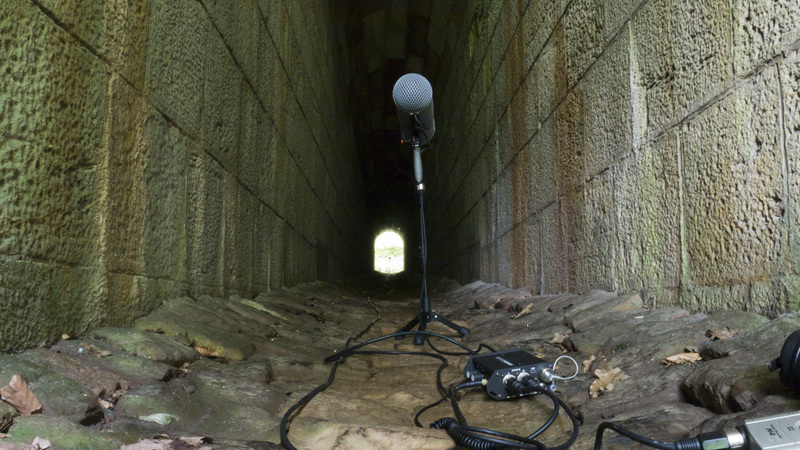 For the second recording we used a pair of shotgun microphones: one (right channel) placed at one entrance pointing to the outside forest, the second one (left channel) is placed on the other entrance pointing into the tunnel.